Check out this great tip from the Sunset Terrarium bookon how to roll up the root ball of a plant to add it to a bottle terrarium. 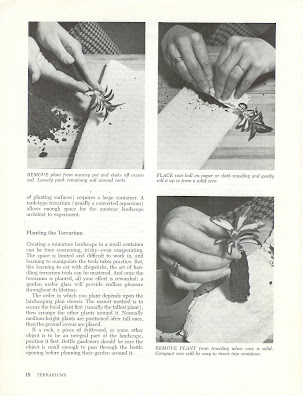 This is a great trick to enable you to add plants with developed root systems cleanly into a terrarium. I just use some scrap newspaper to roll up the root ball into a nice cone or tube shape. Now go add some big plants to your bottle terrariums! So that's how to do it - thanks.